'dr.a.g. 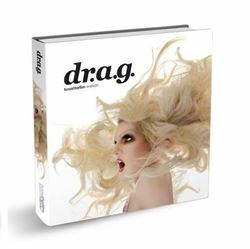 ', for dressed as girl, is a 180-page, 11 x 11 inch, high quality art print coffee table book of the top drag performers from around the globe. From legends Jim Bailey, Lady Bunny and Frank Marino to Chad Michaels and cast from every season of RuPaul's Drag Race, this book celebrates the art of female impersonation.